A web site to: celebrate the Ancient Maliseet Canoe Trail; recognize the role the Trail played in both pre-contact societies and post-contact politics; and, encourage a respectful future for the Trail. 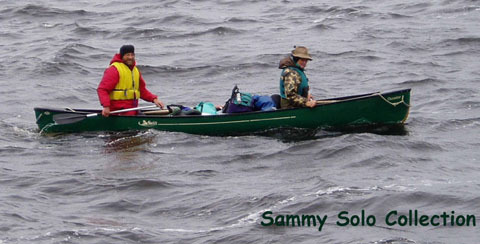 Hosted by Dino KubiK (aka Sammy Solo) with help from the paddling and historical communities. E-mail Dino KubiK by clicking here. 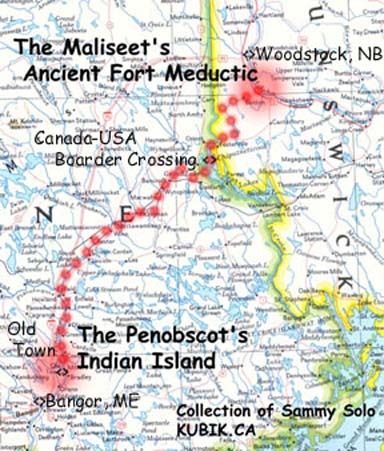 Sammy Says: "You will find Easter Eggs if you follow the links from the solo paddler icons (_;__)"
Happy to be your guide for this virtual tour of the Ancient Maliseet Trail. 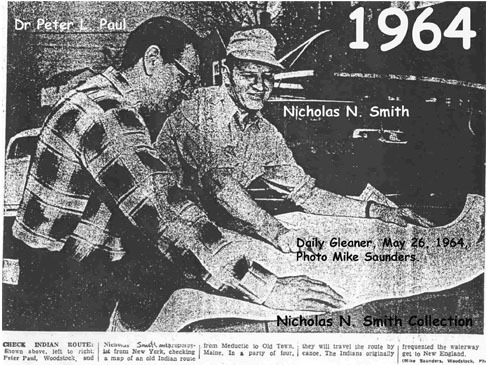 Here you will find historical accounts, maps that few people have ever seen, pictures, trip reports, as well as, folklore about lost Maliseet gold, Shamans Protectorates, and portage trails being worn into solid granite. There is plenty of information on this site but it is not suitable for navigational purposes. The intent of this site is to: celebrate the cultural significance of the Trail; recognize the role the Trail played in pre-contact society and post-contact politics; and, to stack the deck in favor of a respectful future for the Trail (_;__). The Trail's portage routes are unmapped, and unmarked. Most are under private ownership and getting lost on the portages has happened to more than one experienced traveler. The Trail's rivers and lakes are remote and can be dangerous. The Trail can be crossed in open canoes loaded with gear; however, there is a need to scout and be aware of weather conditions. There are waterfalls, class IV rapids, and hydro dams appearing without much warning. On the 25-30 kms of open water crossings one finds wind-swept lakes with shallow bottoms. A combination which quickly produces a dangerous chop of white caps capable of running in cross directions. Stories for drowning and serious injuries on the lakes and rivers comprising the Trail have been documented as recently as July 2005 (_;__). < Click on that last solo paddler icon to read one of the latest. 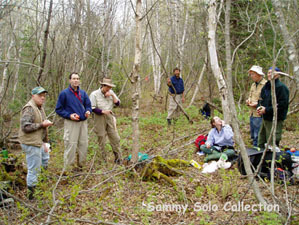 A party considering a crossing should have members with similar types experiences and be prepared to spend time scouting the Trail in advance of the trip. The Trail Revisited - An October 05 Weekend Trip from First Eel River Lake to The Saint John River. 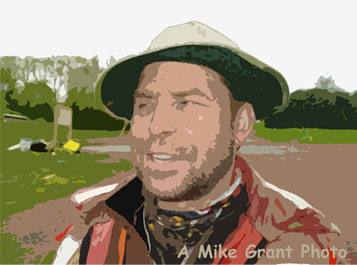 Whose Crossing the Trail in 2006? The site owes much to many people. These include: Allison Connell; Ann Harvey; Anthony Reader*; Beth Johnston*; Bill and Matt Fleming; Bill Paul; Bob Miller; Craig Macdonald*; David Cook; David Cook; David Myles; Dino KubiK*; Donald Soctomah; Dr. Kent Orlando; Elbridge Cleaves; Frederic Clarke Jr.; Geoff King; Ian MacEacheron; James Henderson; Jane Hargrove; Janet Bishop; Jaye Hargrove; Jim Dumville; Joanne Light; John Heinstein; Lane MacIntosh; Linda Baier; Mary Ellen Badeau; Matt Hopkinson*; Mike Grant*; Mike Krepner; Nancy Macdonald*; Nicholas N. Smith; Nick Callanan; Patricia Belier; Paul Meyer*; Phillip Warn Foss; Roy McNally; Sean Phinney; Timothy Gould; Tom Somerville; Tony Grant; Wayne Gunter; and W.E. (Gary) Campbell.